This doggie is trying to get some sleep, but when the curious kitten notices the irresistible floppy ears, nothing can stop his paddy paws from grabbing and pawing at them! Even when this gentle dog tries to fend off the annoyance, this cat still can’t stop his own curiosity and just keeps on trying to be playful and friendly; even to the point of hugging the doggies nose! 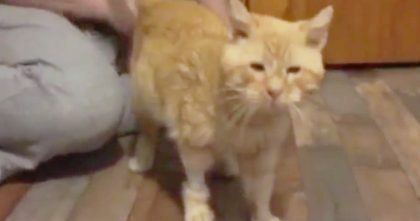 Watch The Reaction After Elderly Half-Frozen Cat Is Rescued… Just Listen To His Response!! 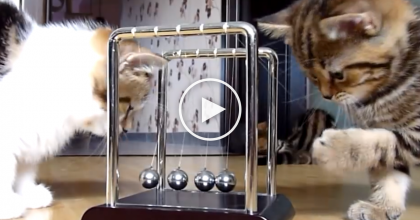 These Kittens Were VERY Interested In Something, So They Grabbed The Camera! 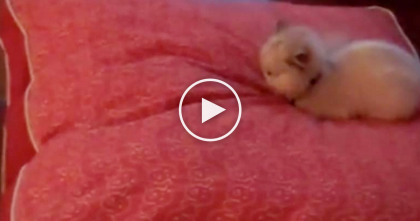 ADORABLE… Watch! 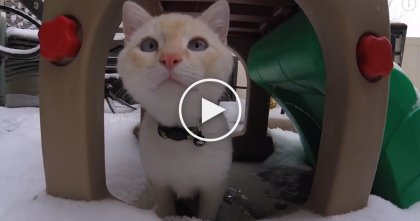 Frozen Kitten Stuck To Ground, Received Kitty CPR…Now You Won’t Believe What He’s Doing. Kitten Was Drinking Some Water In The Funniest Way Ever, So They Started Recording… LOL! !